Hilltop Honey is a company that I really admire. It produces raw honey and ensures that British bees are kept alive and kicking! They offer a bee adoption service as well as the opportunity to have your own bee hive. It's great to see a company that cares about the environment and our wildlife. 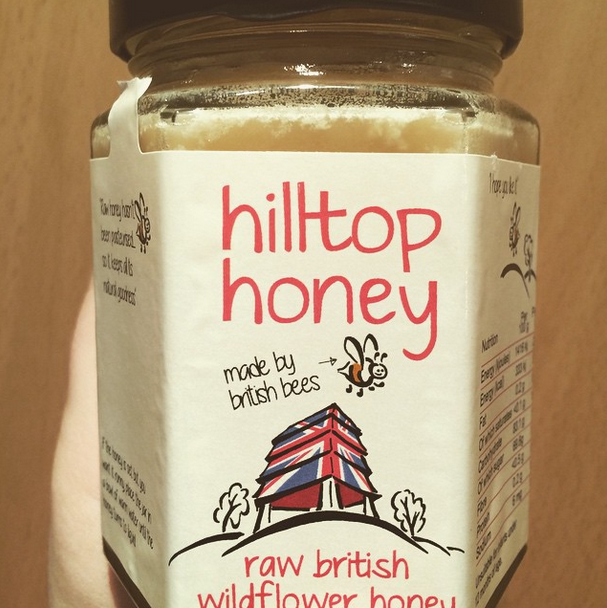 Hilltop Honey also sell their raw honey infused with ginger or chilli (they sound lush!). The health benefits of raw honey are greater than that of pasturised honey. By consuming pure raw honey, we are getting benefits from the pollen. This can include the reduction of allergenic symptoms when coming into contact with pollen. Bee pollen is actually classed as a superfood. It is thought to protect our cells from free radicals. So, on to how the product tastes... OH MY! This honey is gorgeous. It is a set honey but it can be made runny by placing the jar into a bowl of warm water. Hilltop Honey truly is really tasty and I can't wait to try the other varieties. I will definitely be repurchasing this honey, it is absolutely lush. Please go and try this! You will not regret it. It's available from Holland and Barrett or online at www.hilltop-honey.com.